You can register to vote in person at the Caddo Parish Registrar of Voters office. You can also pick up a voter registration application at a Shreve Memorial Library in Caddo Parish and mail it to the Registrar’s office. Or if you prefer, you can register online by clicking here and using your driver’s license. Forms must be received at the office by the deadline date or postmarked by the deadline date. Voter registration forms can NOT be faxed in Louisiana. MOTOR VOTER REGISTRATION– You can register to vote at a Louisiana Office of Motor vehicles location when transacting business at the office. You can also register to vote at social service agencies, military recruitment offices and other governmental locations. Numerous websites offer voter registration services but please be careful to select a website that does not charge for the service. VOTER REGISTRATION VERIFICATION– Under provisions of the the Help America Vote Act (HAVA) and the National Voter Registration Act (NVRA), all voter registration applications must be verified through a central computer for Louisiana driver’s license info and the Social Security Administration. State law requires that if you have a driver’s license you MUST provide the driver’s license number on your voter registration form. Also, you are requested to furnish the last four numbers of your social security number. This information is kept confidential but is used to provide verification or your identity and to prevent voter registration fraud. If you receive a written request for information from the Registrar’s office, please take it seriously and contact our office immediately or your application to vote could be rejected. CHANGE OF ADDRESS INFORMATION– Maintaining your correct and current address with the Registrar of Voters office is your responsibility. You must contact us separately from the post office when you change your address or name. While this cannot be done over the phone, you can call for information and forms can be mailed to you. Call 226.6891 for further information. You may apply for voter registration by completing a Louisiana Voter Registration Application form online through the Louisiana Secretary of State’s Office at any Registrar of Voters office, or by mailing a voter registration application. In addition, if you are seeking services at designated mandated sites, voter registration may be offered to you. Below is a list of mandated sites. To register by mail, download the Louisiana Voter Registration Application form and then return a completed form to your local Registrar of Voters office. Please note that the list of Registar Offices is included on the form. You may also get the mailing address from this list of Registrar of Voters offices. Louisiana statutes require you to be registered 30 days prior to an election to be eligible to vote in that particular election. Faxed Voter Registration forms are not accepted. The Voter Registration form should be addressed and mailed or hand-delivered to the appropriate Registrar of Voters in the parish in which you are registering. DO NOT mail or otherwise send Voter Registration forms to the Secretary of State Elections Division office – deadlines requiring receipt in the registrar’s office may be missed. Nothing. Registering to vote is a right afforded to you as a United States citizen by the Constitution of the United States. Yes. For voter registration purposes, you must qualify to register with a residence address in the parish with a street or rural route address. Post Office Box addresses and Mail Center Boxes do not qualify. We must know where you live so you are assigned to the proper precinct for election day. If you were displaced by Hurricane Katrina or Rita and no longer reside in Louisiana, you may remain registered to vote as long as you do NOT register to vote in another state. You should provide a “mailing address” to your registrar of voters to remain an active voter. If registering in person at a parish Registrar of Voters office, you are required to prove age, residency, and identity. You may submit your current Louisiana driver’s license, birth certificate or other documentation which reasonably and sufficiently establishes your identity, age and residency. If registering at a mandated site, no further proof of identification is required other than whatever proof is required for services received that you have applied for. Louisiana mails a verification mailing card to verify the address you have provided when registering by mail. No. You must register to vote using your Homestead Exemption address; however, if you do not claim Homestead Exemption and reside at more than one place in the state with an intention to reside there indefinitely, you may register only at one of the places at which you reside. Why is the residence address so important? Because your elected representatives are determined by your residence address. 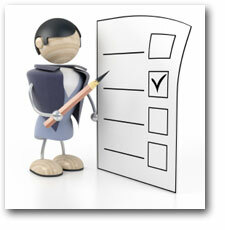 In order for you to vote on the correct ballot for an election, your registration must have your residence address. You must notify the Registrar of Voters office in your parish of any changes to your registration. If you have moved outside your parish, you are no longer eligible to remain registered in that parish. If you were displaced by Hurricane Katrine or Rita, you may remain registered to vote as long as you do NOT register in another state. You should provide a “mailing address” to your registrar of voters in order to remain an active voter. No. Once you are registered in your parish, you will remain registered unless you move from this parish, lose your civil rights, or register to vote in another state. In some cases, your registration can be transferred, but it is best to register every time you move to a new parish in Louisiana. Students may use their home residence address within the state or their school address for voter registration purposes. Out-of-state students are allowed to use their school address in Louisiana if they want to be voters in this state. The Green, Libertarian, and Independent parties have fulfilled all the requirements in R.S. 18:441 and are now recognized political parties. This means that Louisiana now has five (5) recognized political parties: Democratic, Green, Libertarian, Independent, and Republican. Your party affiliation can be changed by simply sending your Registrar of Voters a written note requesting your party change (including signature), or by completing another application. Please note: if you are changing your party right before an election, it must be done 30 days prior to an election. Party changes received after book closing for an election cannot be in effect until the next election. Always check your voter identification card. Your card will list your polling place. Please pay special attention to make sure you go to the correct polling place. If you are unsure, please use the Where Do I Vote?, or call your parish Registrar of Voters office. You should contact your parish Registrar of Voters office to request a new one. Louisiana law requires a picture identification card to vote at the polling place. This can include a Louisiana driver’s license, a Louisiana Special ID card, or other generally recognized picture identification card. If you do not have a picture ID card, you may sign an affidavit which will be attached to the precinct register, and you will be required to provide further identification as requested by the Commissioner at the polling place.